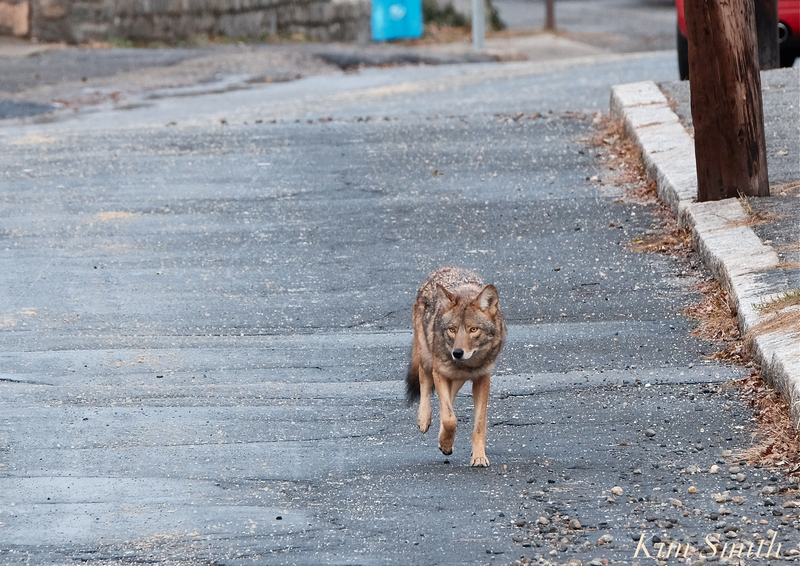 Saturday morning at 8:30 am, an injured Eastern Coyote was spotted In East Gloucester. The coyote was not bearing weight on its right back leg. He trotted gimpily up Plum Street, before heading down a driveway halfway up the street. Note in all the photos the Coyote is holding up his right back paw. Sick and injured coyotes can be unpredictable although, this one appeared nonchalant. I at first thought it was a large dog and was headed towards him to possibly help him find his way home. Despite its inability to put weight on its paw, his coat looks healthy and and he was almost jaunty, leg injury and all. 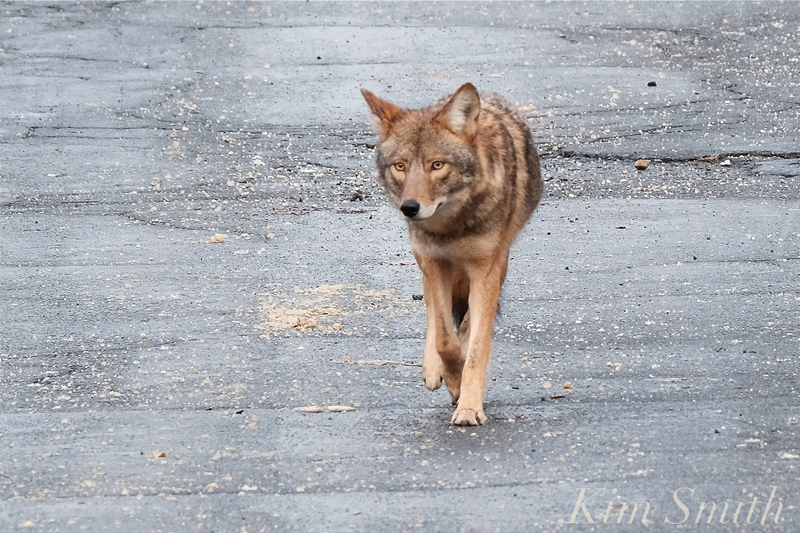 This entry was posted in Cape Ann Wildlife and tagged Canis latrans, East Gloucester, Eastern Coyote, injured coyote on November 17, 2018 by Kim Smith.